The rise of the recent #MeToo and #ChurchToo movements have awakened the world to the nature and extent of violence against women and girls. For too long the voices of women and girls who suffer violence have been marginalized, ignored or silenced. The global Church has been slow to speak up and take action. Until Now. More than 150 leaders from across the world are calling upon the global faith community to stop standing by and start standing up for women and girls who experience violence. 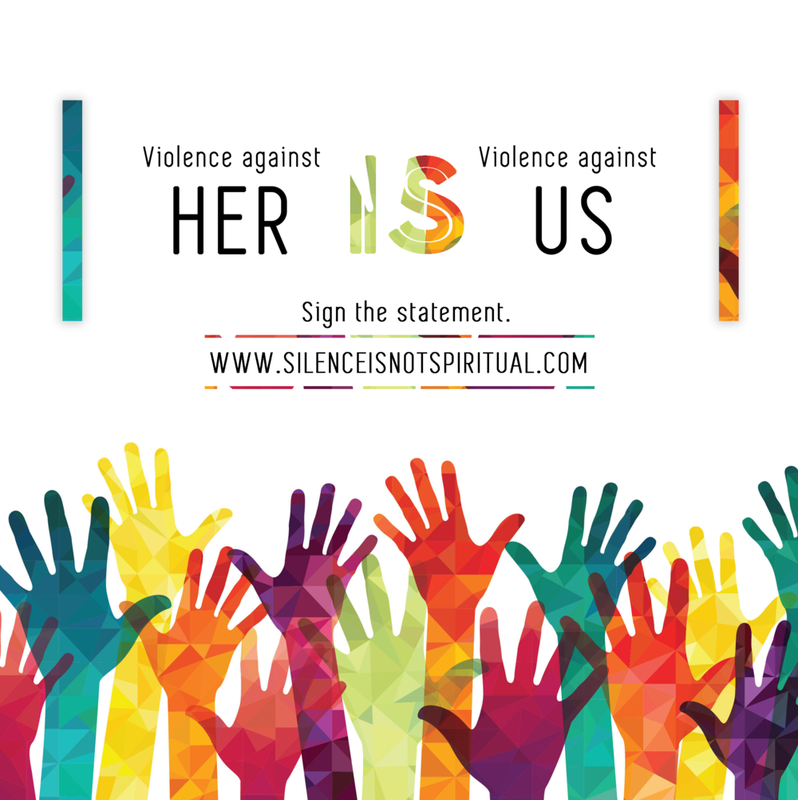 Thousands responded within hours of launching #SilenceIsNotSpiritual. We face a defining moment as a Church. Will we shrink in fear and despair or will we join the cry of the vulnerable, echoing their voice and defending their courage?